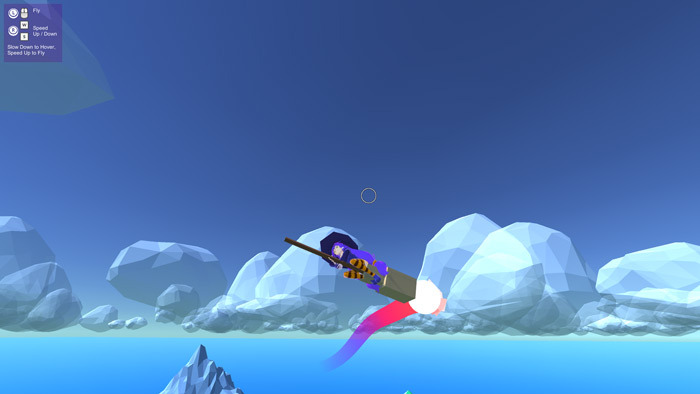 "Discover islands while flying around on your broomstick"
Hustle Witch is a sort of flight simulation game but instead of flying a plane or helicopter you fly around on a broomstick over a series of low poly islands divided by blue seas. 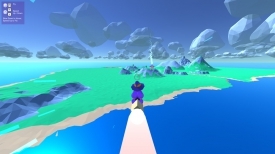 The hustle part of the game title comes from the objective of the game and that is to collect and then deliver parcels and packages all over the island so as far as we could tell this is a white or good witch who is just trying to make some money by creating a broomstick postal service. 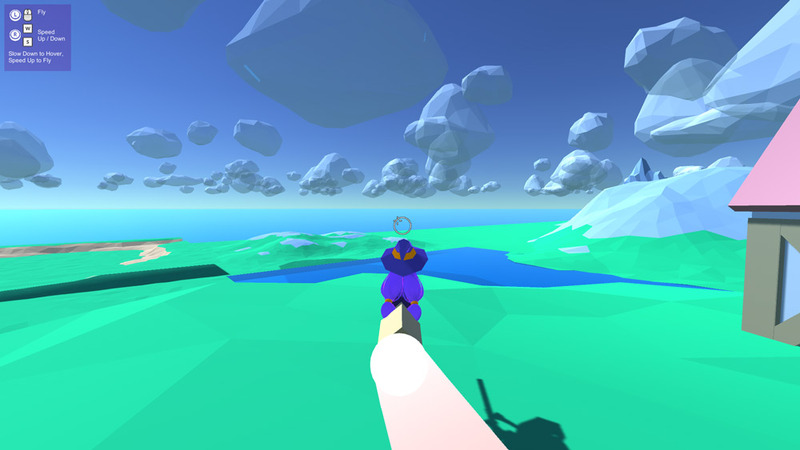 The game is in a low poly style and flying the broomstick around is a lot of fun, the packages don't have any kind of address though and you just have to drop them off at any other house on the island that you can find so that the young witch can make some money. If you want to fly faster you can get a speed boost by flying close to the ground or sea, the controls are fairly easy to pick up and this should appeal to gamers of most ages and abilities, it may be a little simple for experienced gamers though and although it is undeniably fun for a while it may not appeal to those who are looking for a challenge. You can download Hustle Witch here for free.